Just finish this book. Not so bad, not so good neither. 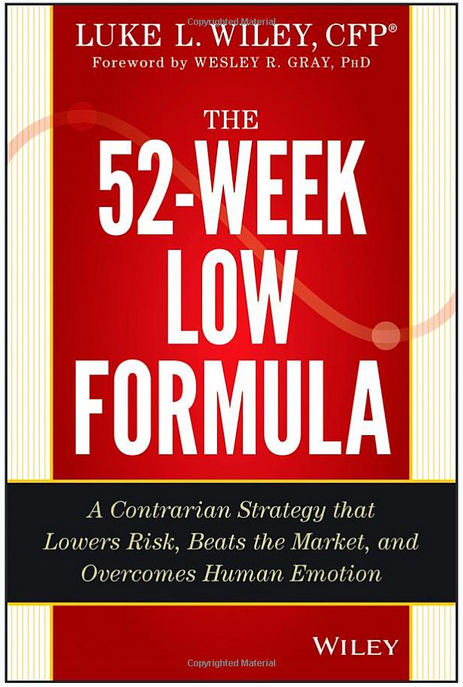 The 52-Week Low formula is not about finding cheap stocks that can be turned for a quick buck. It's a system, a process that takes the guesswork out of investing and removes the influence of human behaviours. The first screening is to select companies with durable competitive advantage, as these companies are difficult to compete with by their nature and positioning. It gives the companies tha ability to adjust to a changing world, fend off upstart competition and insulate themselves from competitors. Free cash flow yield is described as Free cash flow / Enterprise Value. Free cash flow yield couples the health of the company with its valuation. The free cash flow yield multiple over the 10-year Treasury bond is known as the margin of safety. Investors need to set a minimum free cash flow yield multiple as we do not want to earn slightly more, we need to earn a lot more in cash over the what the bond provides, given the risks inherent in investing in common stocks. The return on invested capital must be higher than its cost of capital consistently as the cost of capital is what investors in the company demand on their investment. Good companies use their money to make more money. It's just that simple. It is a hallmark of a good leadership and management. This ratio describes how many years the respective company need to pay off its debts using the excess cash generated from its operation. It's hard for a company to go out of business if it has very little to no long term debt. There will be downside protection that business with high quality balance sheets provide to their shareholders during uncertain times. Furthermore, they are able to go out on the hunt and buy its competitors to enhance it market share growth. When you come to this filter, you probably filter out 95 percent of the listed companies. Then wait for the company trades at or near its current 52-week low. Sounds easy? I don't think so. When a company is trading at or near its 52-week low, I think there is something bad happen around the company or the economic and market as a whole is having deep crash. So, do you have some of the elements required to make a buy call even though the company fulfilled those criterion? You need to be discipline. Review your investment periodically. The hardest thing to do in investing is to walk away from a winner or sell a company at a loss if it fails one of the filters. You need to free from fears. We all have biases and fears. It's extremely difficult to make decision when the people around you are buying the best, hot stocks or having valuation against yours. Investing wisely is not about keeping up with the latest trends, it's like acknowledging your fear and anxiety and overcome them.